arquitecto / diseñador gráfico / editor at microutopías. 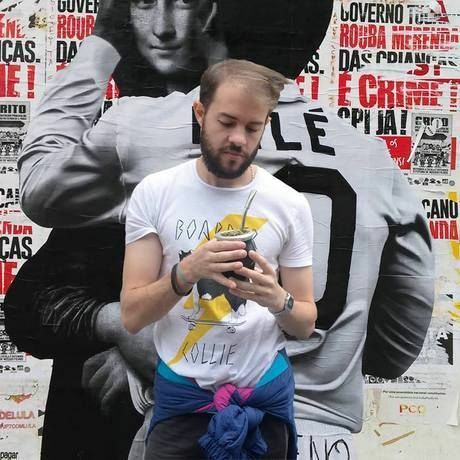 Living in São Paulo - SP, Brasil. And so the question that I leave each of you with, is for you, as individuals, What is your audacious dream? Make a squad. Find conspirators. I used to love this whole idea of doing something that challenges the status quo. Está bueno evaluar proyectos basándote en 3 cosas: Diversión, Dinero y Prestigio. Y sólo 1 de las 3 patitas puede ser débil. As designers, as developers, as creatives, we are problem solvers. The opposite of failure is open-mindedness. They say that time changes things, but you actually have to change them yourself. - Andy Warhol. Your brand is all you have. If you sell out on that, you can't really start over. Busy is a way of organizing your priorities. it's just so liberating to be able to make anything that you want to make. The more creative you are, the more trouble you're in. No se necesita ser un héroe ni la Madre Teresa para dar una mano. La forma en que se organiza el trabajo de una sociedad, y la forma -y posibilidad -que tiene la gente de esa sociedad de llevar adelante sus ideas, es el mayor tesoro de un país.